Refer to https://fluentvalidation.net docs for any info on FluentValdiation, e.g. 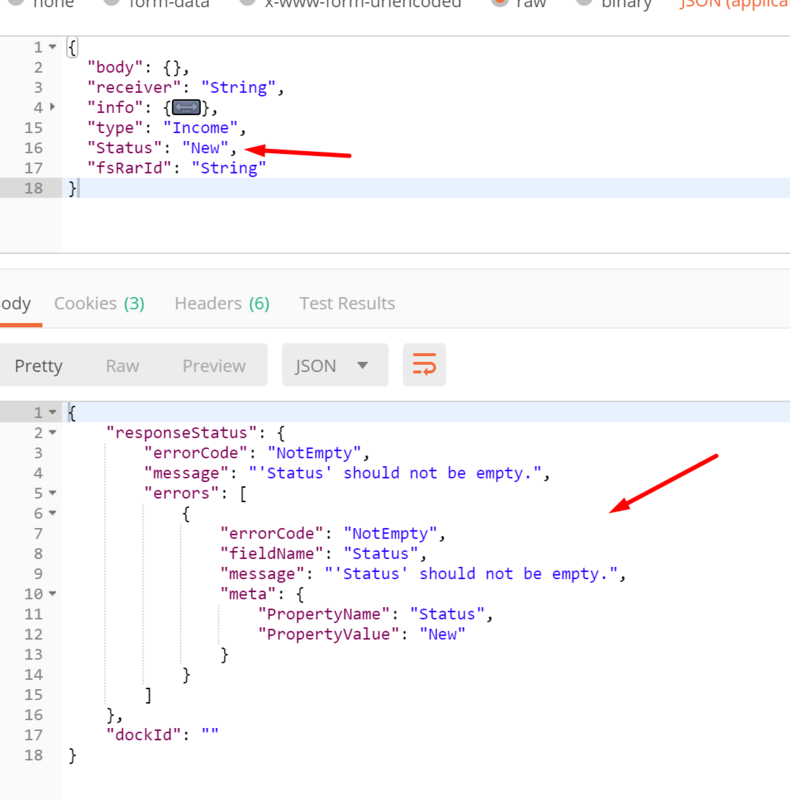 you can't validate a non-nullable Enum with NotNull() or NotEmpty() (which is meaningless for enums) as it will always have a value, if an Enum is never sent it will have the default (first) value. So if you want to ensure one is sent have the first value as None or Unspecified and have your validator check it's not that. Alternatively you can use nullable Enum? 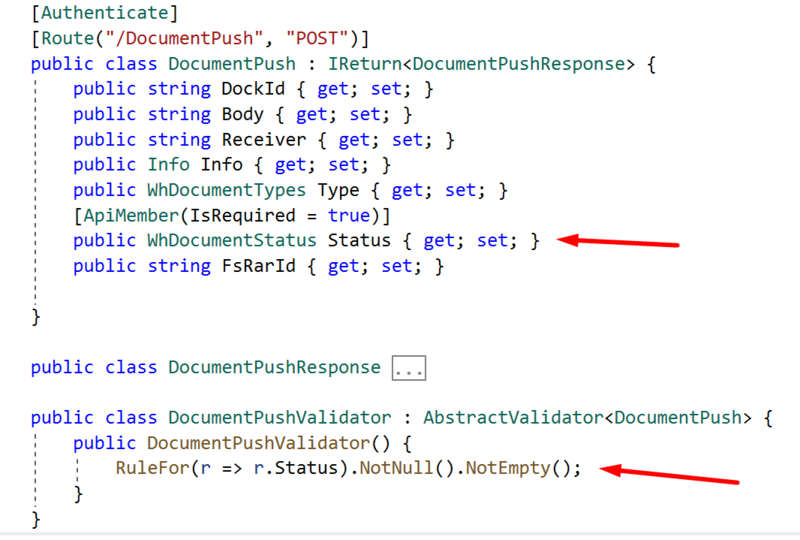 and validate using NotNull().